Jamie Allen scored twice as Dover eased past Welling United at Crabble on Tuesday night. 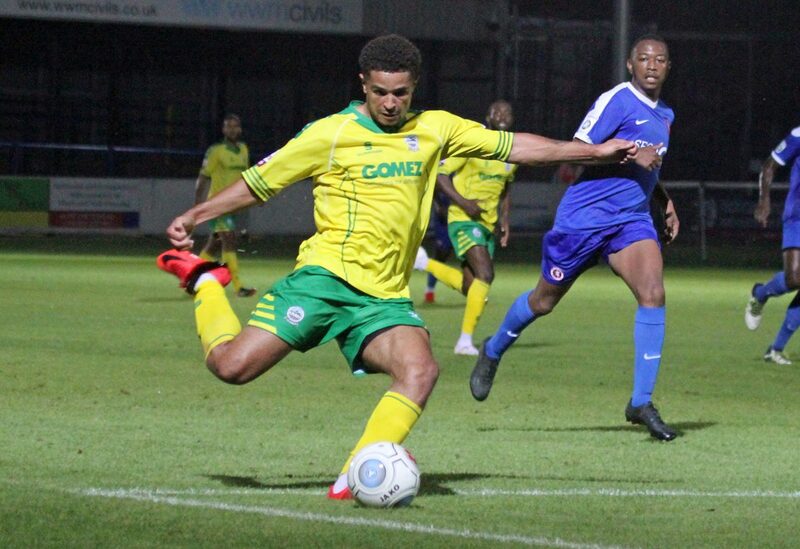 Allen and Femi Ilesamni grabbed their first goals for the club, with Ryan Bird and Mitch Pinnock also on the scoresheet as boss Chris Kinnear’s side registered their third win in four days. The visitors, featuring former Athletic players Joe Healy, Jack Parkinson and Sean Francis, had the first chance of the match when Alfie Pavey’s angled effort was blocked by Mitch Walker and Dover’s stopper was quickest to the rebound. The home side’s opener came from their first attack on the half hour mark. Ryan Bird collected Giancarlo Gallifuoco’s deft through ball and fired into the bottom corner from inside the box. The big striker turned provider for Allen minutes later. The diminutive forward latched onto Bird’s flick on, but was forced wide by a sprawling Chris Lewington. 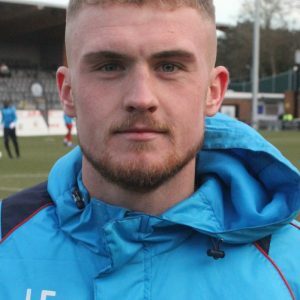 Still with the ball, the forward passed for the onrushing Josh Passley to shoot, but the right back’s powerful strike was blocked by Welling’s goalkeeper. Athletic doubled their lead just before the break thanks to Ilesamni, with Bird glancing Passley’s cross into the path of the wing back to sidefoot into the bottom corner. The onslaught on the visiting defence continued after the restart. Lewington tipped away Kane’s Richard’s curling effort after the winger pounced on Jack Parter’s error. Connor Essam prodded over Manny Parry’s knock down from a Mitch Brundle corner and Richards went close again, this time heading wide Passley’s cross. Athletic’s third arrived on 70 minutes, Richard’s skilfully beating his man and finding Allen free in the box to head home. 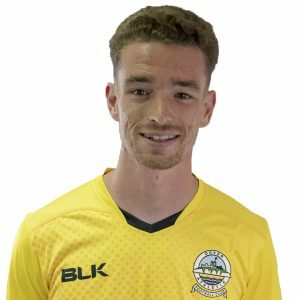 And the former Southport man grabbed another just three minutes later, sprinting clear and firing in thanks to another fine assist from Richards. Bird seized upon a misplaced pass from Ben Jefford, only for Lewington to deny the former Newport man. However, the rout was completed in injury time as Mitch Pinnock slotted in from close range. Earlier, Kinnear made 10 changes from Monday night’s 2-0 win at Tonbridge Angels with Gallifuoco the only player to start both games. Tobi Sho-Silva, Mitch Pinnock, George Essuman and Chris Barnard all dropped on the bench having started the previous evening. Dover: Walker, Passley, Ilesamni (Triallist 86), Essam, Parry, Gallifuoco, Brundle (Triallist 80), Richards (Pinnock 73), Triallist (Triallist 83), Allen (Sho-Silva 73), Bird.